The primary mission of the Doctor of Audiology (Au.D.) program is to prepare individuals for careers as clinical audiologists. The program includes formal coursework, practicum, a year-long residency, and an independent study capstone project. A minimum of 94 credit hours is required, which consists of 56 credits of course work and 38 credit hours of clinical practicum, including the clinical residence for one academic year. In order to meet the clinical practicum requirements for the CCC-A, students must be prepared to accept the responsibility for completing all clinical assignments necessary for generating the requisite clock hours ASHA has specified in designated clinical categories. Why Should I Pursue my Au.D. at Illinois State University? Diverse research opportunities with nationally recognized Faculty. Come work one-on-one with a Faculty member. What Types of Clinical Experiences Will I Receive? 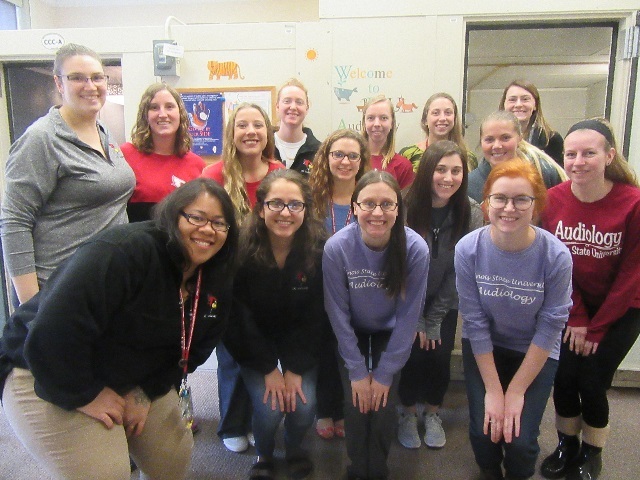 Illinois State University is home to the Eckelmann-Taylor Speech and Hearing Clinic, an active clinic with state-of-the-art equipment that services over 12,000 pediatric through geriatric clients a year.